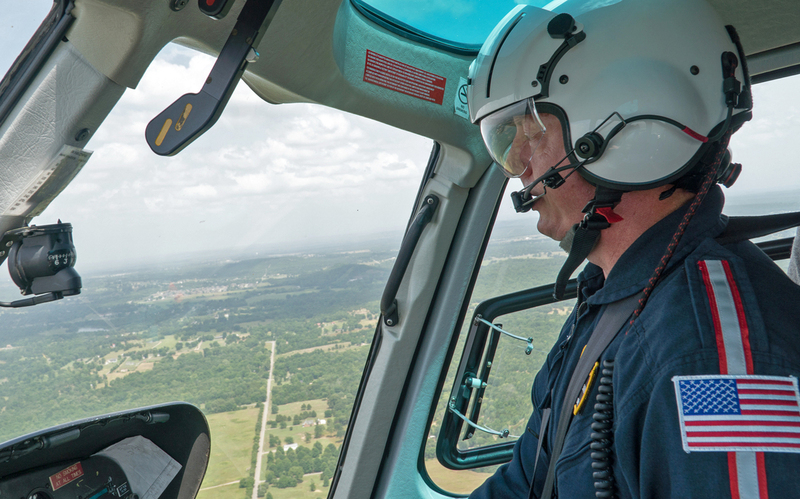 FAA Budget Bill Could Bring Changes To Air Ambulance Business : Shots - Health News Medevac helicopter companies are on the congressional radar, as a funding bill for the Federal Aviation Administration nears passage. Consumer protections against deceptive practices could become law. Chris Glascow, an Army veteran and pilot for Air Methods, flies over the border of Arkansas and Oklahoma. If an air ambulance service isn't part of a patient's insurance network, the operator can charge patients for the portion of the bill the insurance company won't cover. That leaves a patient on the hook for the undiscounted rate the air carrier decides to charge. "There's nothing really they can turn to because of this regulatory blind spot, essentially, that air ambulances fall into," said Erin Fuse Brown, an associate professor of law at Georgia State University who specializes in health care billing. "There's nothing that would protect them, that would allow them to push back on the extraordinary charges that they are billed when they get home from the hospital." This situation happens because the federal government treats air ambulance companies as air carriers, like Southwest or American Airlines. They are regulated by the Federal Aviation Administration. By law, states cannot set rules for them. That has meant they haven't been required to participate in insurance networks, their prices aren't capped and they can charge patients the balance of the bills, even after insurance has paid. Congress is hashing out legislation to reauthorize funding for the FAA. The House passed an earlier version of the bill in May that would have allowed states to regulate air ambulances, including pricing and some billing practices. That provision was dropped from a House-Senate compromise bill that is expected to pass. Some consumer protections remain in the new legislation. An aviation consumer advocate with the Department of Transportation would be responsible for handling patient complaints and could pursue enforcement or "corrective action" against unfair or deceptive practices, including air ambulance operators. 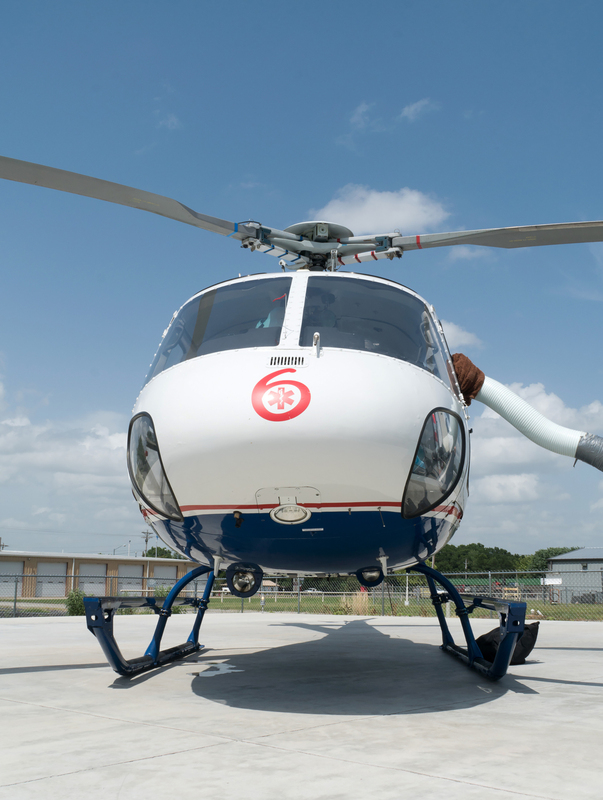 Air Methods' helicopter in Pocola, Okla. The company owns five other Oklahoma bases under the Tulsa Life Flight brand that it bought in 2009. Air ambulances were in their infancy when air travel was deregulated in the 1970s. Since then, the air ambulance sector has had little oversight, especially on the positioning of bases. That has led to vast deserts of coverage and other areas, like on the Oklahoma border, with a saturated market and multiple carriers. With no cap on pricing and high fixed costs, such as helicopters and trained personnel ready to fly at a moment's notice, increased competition has driven prices up, instead of down, said Greg Hildenbrand, executive director of Life Star of Kansas, a nonprofit air ambulance service and secretary of the Association of Critical Care Transport. "The numbers of patients per helicopter has dropped, but we still have to spread the same costs per base over fewer numbers of patients, and so that has driven costs up considerably," he said. The rise in price is dramatic. Take Air Methods, one of the largest air ambulance companies in the nation, whose pricing greatly influences the market. 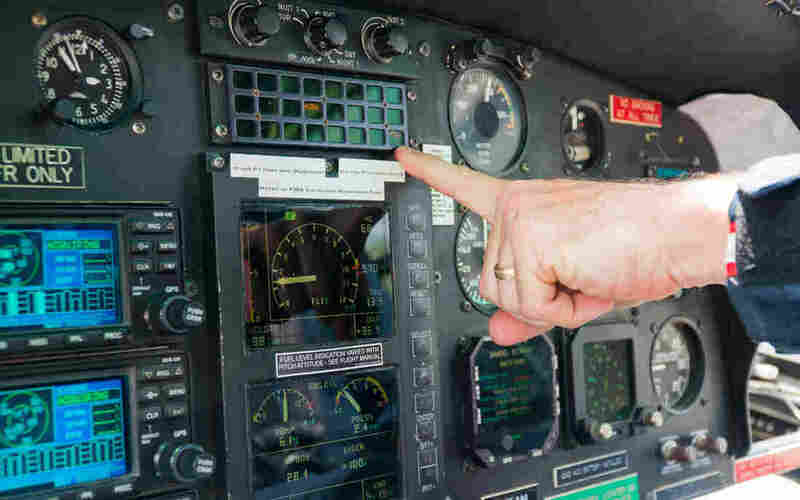 Its average helicopter transport costs increased from $13,000 in 2007 to $49,800 in 2016, according to a Government Accountability Office report. Because air ambulance providers accept much lower reimbursement rates from Medicare and Medicaid patients — and may not receive any payment from uninsured patients — the impact of these rate hikes has fallen almost entirely on private health care insurers and the people they cover. "I think we've reached a tipping point in the industry where insurance companies are saying, 'No, we're not going to continue to pay these rates,' and so then patients get balance-billed $40,000 or something after their insurance has paid. I don't think it's a sustainable system," he said. 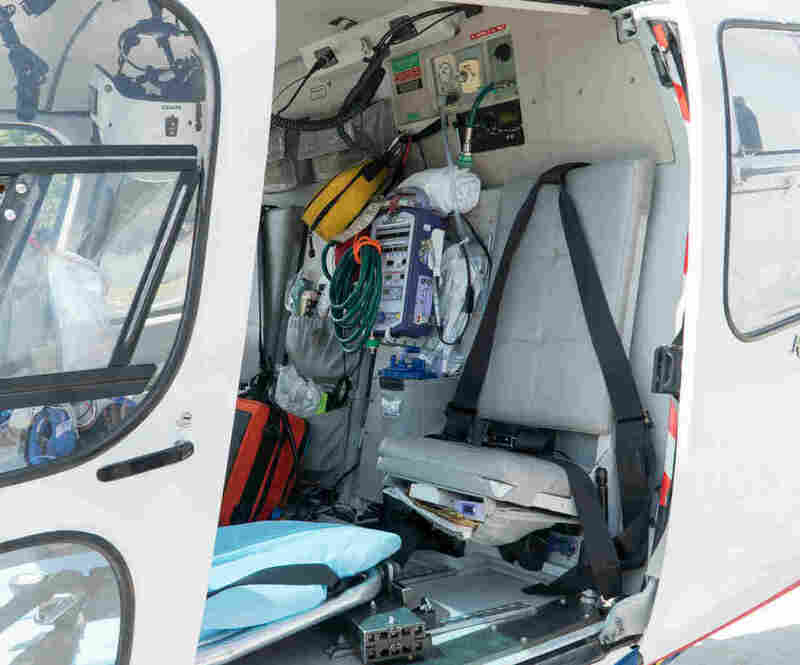 As billed charges have soared, more insurers have started limiting their reimbursements to air medical providers. Air Methods has responded by hiring patient advocates who go through the appeals process with the insurance company. Ultimately, if the insurance company won't pay, the patient is on the hook. It's a step in the right direction, said Fuse Brown of Georgia State University, but the regulatory council might not go far enough. "The task of the committee would be to come up with additional consumer protections that haven't been specified in the bill," she said. "It's unclear at this point whether the committee would come up with protections that would substantively provide consumer protections." This story is part of a collaboration of NPR, Kaiser Health News and StateImpact Oklahoma, a reporting project of NPR-affiliated public radio stations.